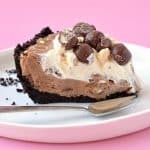 You’ll love this easy Chocolate Malt Mousse Pie with a crunchy Oreo crust and plenty of whipped cream. 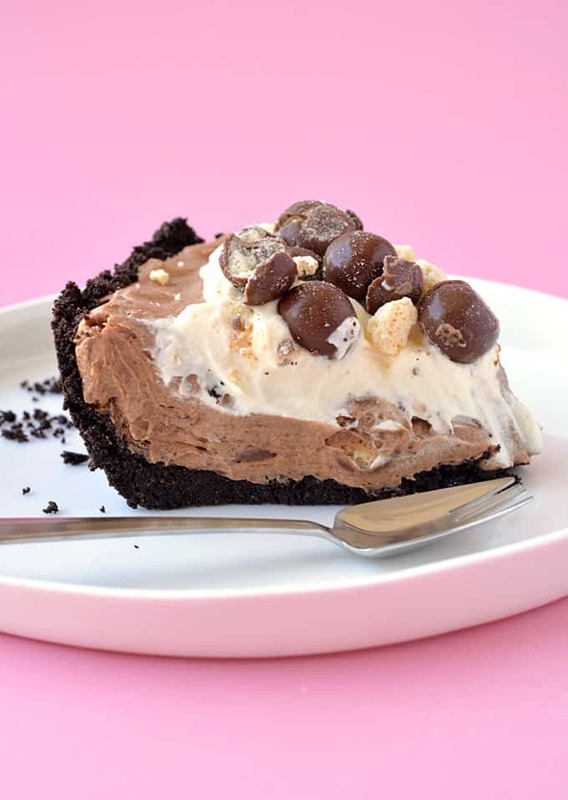 This no bake, make-ahead chocolate dessert is perfect for entertaining a crowd. This time, it’s all about chocolate malt. 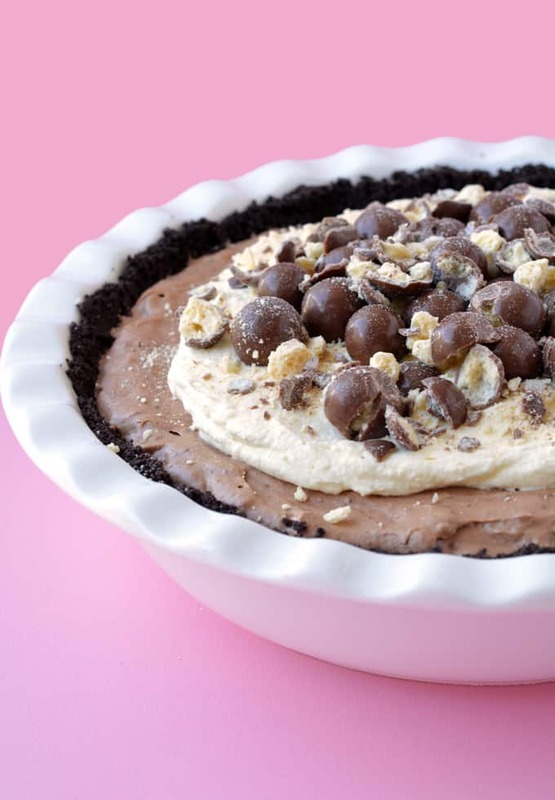 This gorgeous no bake Chocolate Malt Mousse Pie is what chocolate-covered dreams are made of, complete with an Oreo crust and a handful of Maltesers. You’ll never guess just how easy this pretty pie is to make (and eat!). We’ve recently been on a pie bender around these parts. Have you noticed? First there was my No Bake Peanut Butter Pie with a salty pretzel crust and then my zesty No Bake Key Lime Pie. I mean LOOK at that pie. Can you even? I love malt. I think it’s seriously underrated. This is actually the first malt recipe to feature on Sweetest Menu, but I can promise you, it will not be the last. Malt powder adds a slightly savoury note to this pie due to it’s delicious, nutty flavour. 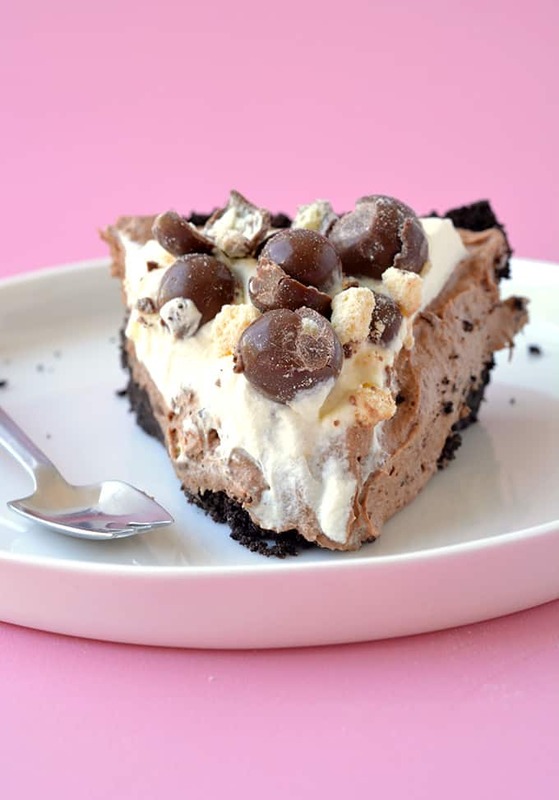 Once you pair that with Maltesers (chocolate malt balls) and a thick chocolate mousse, you can have a dreamy, creamy chocolate dessert. It only has a handful of ingredients. 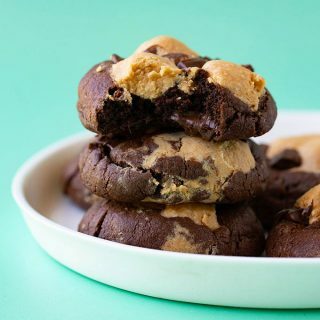 Oh, and it tastes ah-mazing! Perhaps the best part about this pie is that you can make it ahead of time – perfect for entertaining. 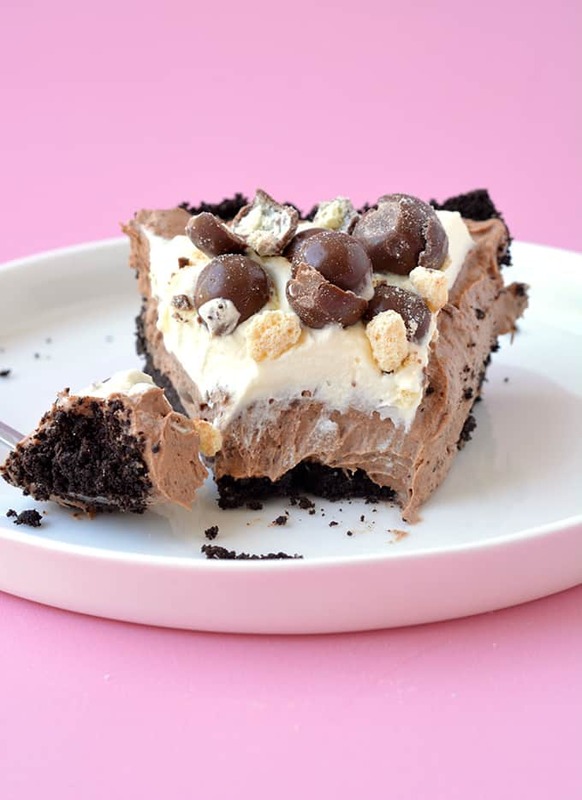 Throw together the Oreo crust, make the chocolate filling and then pop it in the fridge. 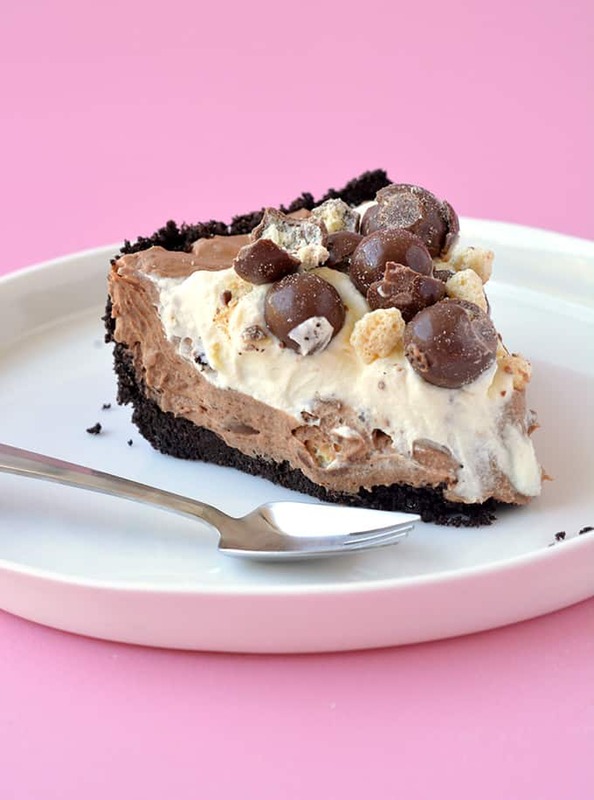 When you’re ready to serve, you can just whip up a little extra cream, throw a few Maltesers on top and dive right in! Let’s go! 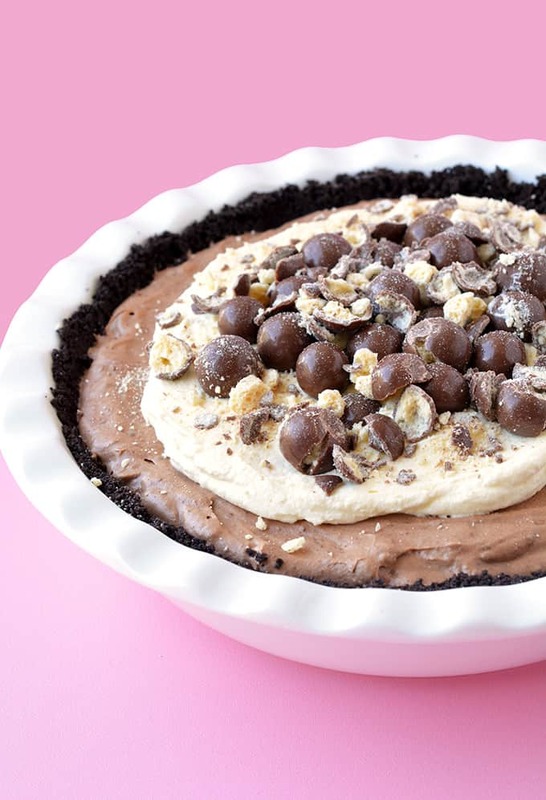 A deliciously easy Chocolate Malt Mousse Pie with an Oreo crust. Add Oreo cookies (cream and all) to a food processor and blend until they resemble fine crumbs. Melt butter in the microwave and then pour over crushed Oreos and whiz again until the mixture resembles wet sand. 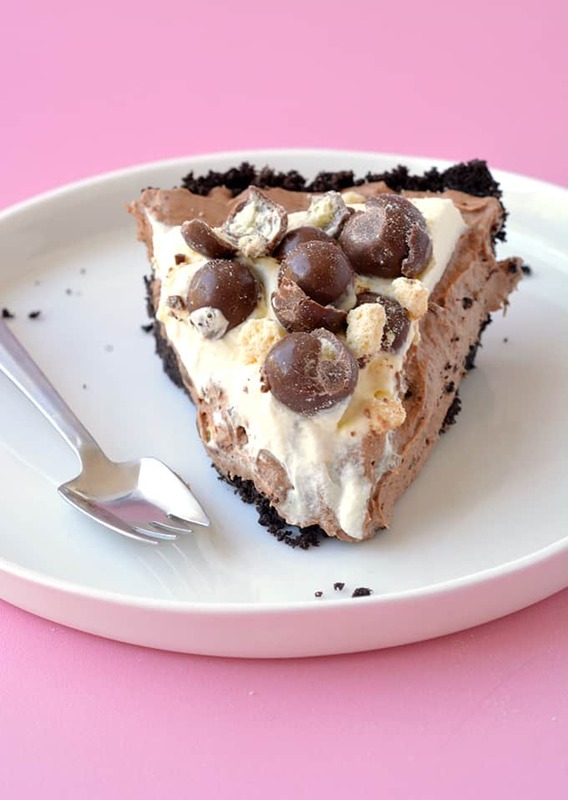 Press Oreo crumbs into a 9 inch pie plate and press down gently using the back of a spoon to form an even layer. Pop in fridge. 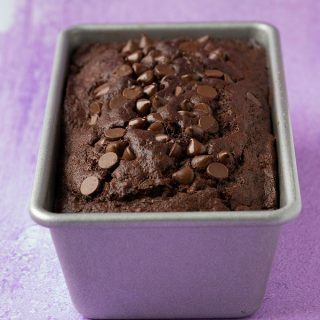 Add milk chocolate and dark chocolate to a microwave safe bowl. Heat in the microwave, stirring every 30 seconds, until melted and smooth. Set aside to cool slightly. Use an electric mixer on medium speed to beat cream until whipped with stiff peaks. Gently fold cream into melted chocolate. Add malt powder and chopped Malt balls and fold until smooth. Pour chocolate mousse over Oreo base. Smooth top using a spatula and cover with plastic wrap. Refrigerate for at least 4 hours (or overnight) until set. 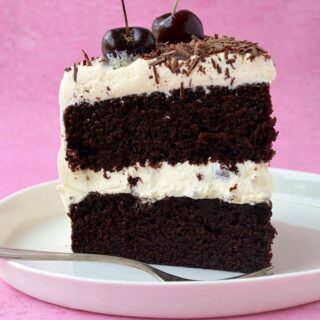 To serve, use an electric mixer on medium speed to beat remaining cream until thick and whipped. Spread cream over top of mousse. Sprinkle with Malt balls. Would this freeze well? I was hoping to make it ahead of time, and pull out the day I was serving it. So easy to make! Everyone loved it!